Blog Is Email Automation Helping Your Business Grow? Have you been on a website and they offered you a free item if you just give them your email address? Then, once you gave them your email address and got your free item, you started receiving additional emails over the next weeks or months from the company? That company uses email automation to deliver the free item, connect with you, and encourage you to buy their products. 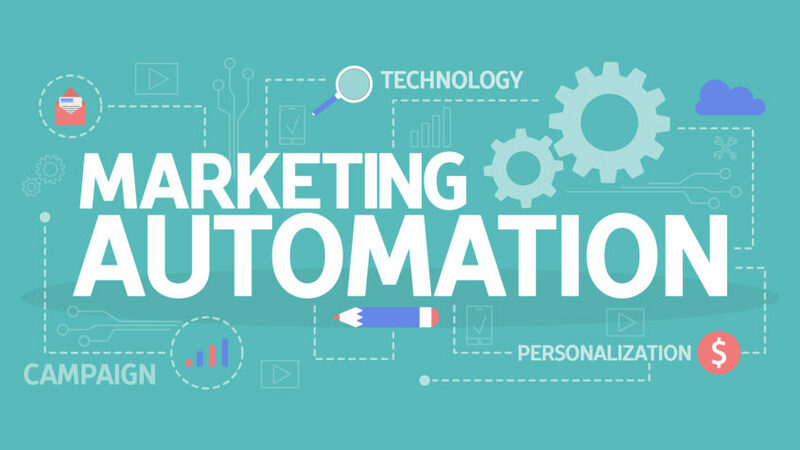 An automated email campaign is a group of emails that is set up once and then automatically sent to a particular individual when that person meets a certain trigger. It is not email newsletters or little one time email campaigns sent to a list of people. Automated email campaigns take some planning to implement and that is why many small businesses don’t take advantage of them. Typically for my clients the return on the time investment is seen in the first two months. In the last year there have been huge advances in email automation. The pricing has come down, the implementation has gotten easier, there are more options for companies to use, and it provides great return on investment. According to Salesforce, the average ROI on email marketing is around 3,800%. That is approximately $38 for every dollar invested. Email is one of the top lead generation tools with over 89% of marketers saying it is the top marketing lead channel. With over nearly 4.1 billion email users globally by 2021, email is here to stay and automation can make it better. Email automation can also bring consistency to your brand and grow your subscriber list. If you have been thinking about adding automation to your process, now is the time. However, you want to use the system that works for you. A year ago I bought into Infusionsoft (now known as Keap). They were one of the first (and largest) email automation companies. I had used their system four years ago for a client and hated it. However, they had made big advances since then I heard. A month into the training classes and it was clear to me that they had not made enough. I had year contract to ride out, so I did take the time to learn from their template systems and training. A business colleague of mine is rocking the Infusionsoft and it has really simplified her internal systems, improved her sales and is generating her new leads. She has been working direct with the company to see those results. Once I knew I wasn’t going to be keeping the Infusionsoft, I found other easier and less robust solutions that I love working with. It was a good year to be learning about the industry because it really evolved and became attainable to the average business owner. You no longer need to hire a programmer or an email engineer, now you can hire your favorite digital marketing team. Next time you’re looking at your sales process and client follow-up and you’re getting frustrated at how it just isn’t happening when it should, the way it should, give me a call. I have a email automation solution for any problem. I was talking with a friend who has spent years around computers, marketing and data. I asked him what he recalls about automated emails he laughed. He recalled being hired by a church to do a mail merge and integration with their email and send out a campaign. He said it was a process and it went well. That was back in the in the early 90’s. Back then you could open an excel document, copy the entire column of email addresses, paste them in the TO: section of your email…yes all 150 at once… and hit send. Let’s just say it wasn’t too long before they put a stop to that and you had to use a service for sending out one email to more than 20 people at once.